There was a time back in the early 20th century when only the richest of the rich took advantage of world cruises offered by the likes of Cunard. In fact, in 1922 Cunard’s RMS Laconia was the very first ship to make such a trip. Popularity for the concept—sailing nearly 100 or more nights to see the most fascinating destinations around the globe—grew over time. Today, cruise lines like Princess Cruises, Cunard, P&O UK, Holland America, Silversea Regent Seven Seas and Oceania offer world cruises as well as world voyage sectors—shorter one week to month long segments of the complete voyage—that can be booked by travellers who can’t be away from home for the entire world cruise. While world cruises are still a considerable investment of money and time, they are now within reach of many travellers. They are a popular retirement splurge and it probably won’t surprise you to learn that the majority of world voyage cruisers are older, retired individuals who aren’t tied to work or other day-to-day obligations at home. Most world cruises embark in January in the northern hemisphere and conclude in March, April, or even May, however Princess offers an annual world cruise from Australia departing in June. World cruises often kick off with a gala at a hotel in the embarkation city or onboard the ship so guests can toast to the adventure and start forming friendships. This isn’t the only perk world cruisers can expect. Throughout the extended journey each cruise line schedules special events, excursions, or experiences and welcome aboard a variety of celebrities, musicians, and expert guest lecturers. There are also enrichment programs that include lectures, classes, hands-on workshops as well as shore excursions whose themes dovetail with what you’ve learned onboard. Some cruise lines also offer things like door-to-door luggage service, complimentary and unlimited Internet access, and laundry service as well as onboard spending credits on world cruises. You’ll want to determine what’s most important to you onboard as well as what ports you’re most interested in visiting. Then compare each line carefully to see which may be the best option. The team at Cruise Guru have accumulated over 1000 nights at sea and are experts in world cruises. Highlights: Witness the Komodo dragons of Komodo Island in Indonesia; cruise the Suez Canal; experience the midnight sun of Iceland and stunning foliage of Canada; transit the Panama Canal; immerse yourself in the vibrancy of South America’s western coastline; stand in awe at the relics of Easter Island; bask in the paradise that is French Polynesia. Not interested in the full 106 night voyage? View all available Sea Princess 2019 World Cruise sectors. Highlights: Transit the Panama Canal; dance to Mariachi music in Mexico and central America; experience the culture and cuisine of Polynesia in Hawaii, French Polynesia, Tonga and New Zealand; cruise Australia’s southern states; explore the markets and beaches of Thailand and Indonesia; bask in the tranquillity of the Seychelles Islands and Maldives; cruise the islands off Africa’s eastern coastline; discover the wild of Africa’s Skeleton Coast; complete the iconic crossing of the Atlantic ocean; soak up the sun in the Caribbean. Not interested in the full 111 night voyage? View all available Pacific Princess 2020 World Cruise sectors. Highlights: Witness the Komodo dragons of Komodo Island in Indonesia; cruise through Sri Lanka into the UAE; transit the Suez Canal; hop the iconic coastal cities of the Mediterranean including Venice and Barcelona; experience the midnight sun of Norway and Iceland; cross the Atlantic Ocean; transit the Panama Canal; discover the amazing culture of Peru; stand in awe at the monoliths of Easter Island; relax in the beauty of French Polynesia. Not interested in the full 106 night voyage? View all available Pacific Princess 2020 World Cruise sectors. Highlights: Take a traditional Cunard voyage across the Atlantic; wander the luscious gardens of Haifa, Israel; transit the Suez Canal after getting a taste of Egypt; visit the towering cities of the United Arab Emirates; immerse yourself in the culture of Asia – highlights include Malaysia, China, Vietnam and Indonesia; cruise down Australia’s golden east coast; experience Australia’s southern states including visits to Melbourne, Adelaide and Perth; cross the Indian Ocean via the idyllic islands of Mauritius and Reunion; navigate your way around Africa’s coastline into Southampton; return across the Atlantic to New York. discover more of Egypt featuring a second transit of the Suez Canal; visit the iconic Rome and Barcelona as you make your way to Southampton; return across the Atlantic to New York. Not interested in the full 113 night voyage? View all available Queen Mary 2 2020 World Cruise segments. Highlights: Start your cruise journey with some time at sea to relax as you make your way across the Atlantic via Portugal and tropical islands of the Caribbean; transit the Panama Canal and sail up Mexico’s Riviera; bask in the sun of a tropical island paradise as you make your way across the Pacific to Australia – highlights include Hawaii, Samoa and Tonga; immerse yourself in the natural wonder of New Zealand; sail up Australia’s eastern coast into Asia; experience a smorgasbord of Asian cultures with visits to China, Hong Kong, Singapore and Malaysia; witness the grand cityscapes of the United Arab Emirates; transit the Suez Canal; soak your toes in the coastal cities of the Mediterranean before making your way to Southampton. Not interested in the full 99 night voyage? 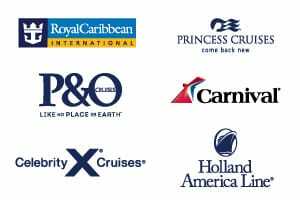 View all available P&O Arcadia 2020 World Cruise sectors. Highlights: Shake off the New York winter as you voyage through the islands of the Caribbean; city-hop your way down the western coastline of South America with stops in Brazil and Argentina; tick Antarctica off your bucket list with the opportunity to cruise by the massive continent (weather pending); loop around Cape Horn and cruise the icy passages of the Chilean Fjords; surround yourself with ancient architecture on Easter Island; bask in the beauty of the South Pacific islands; see nature and culture combine in New Zealand; make your way up Australia’s eastern coastline; explore the temples of Indonesia; experience paradise on the islands of the Indian Ocean including Maldives and Seychelles; immerse yourself in the wilderness and vibrant coastal cities of Africa with highlights including Kenya, South Africa and Namibia; cross the Atlantic for a final jaunt through the Caribbean. Not interested in the full 128 night voyage? Sectors for Amsterdam‘s 2020 World cruise are not yet available. Please check back later. Highlights: Enjoy the crystal water and white sand beaches of the Caribbean islands; cross the Atlantic to Africa; discover the wild of Africa’s western coastline on your way to South Africa; loop around the Cape of Good Hope; voyage up Africa’s eastern coast including visits to Mozambique, Madagascar, Tanzania and Kenya; relax in the picture-perfect Indian Ocean islands of the Seychelles and Maldives; immerse yourself in the many varying cultures of Asia – from Sri Lanka to Malaysia, to Thailand and Vietnam; make your way via the Philippines and Indonesia to Australia; visit the iconic Great Barrier Reef as you cruise down Australia’s golden eastern coastline; explore the Polynesian influence in the South Pacific including stops in New Caledonia, Fiji and Samoa; island hop in Hawaii; pass the Golden Gate Bridge on your way into San Francisco. Not interested in the full 145 night voyage? View all available Seabourn Sojourn 2020 World cruise sectors. *Combine back-to-back voyages to create the full world itinerary. Highlights: Book on just one of the world segments, or combine them all to create the full journey from Fort Lauderdale to Amsterdam. Relax in the Caribbean before being surrounded by the vibrancy of Brazil as you sail south from Fort Lauderdale to Buenos Aires. Tick Antarctica off your bucket-list as you loop under the South American continent between Buenos Aires and Valparaiso, Chile. Stand in awe at the monoliths of Easter Island on the sector between Valparaiso and Papeete. Bask in paradise on the idyllic islands of the South Pacific including French Polynesia, Tonga and Vanuatu as you journey from Papeete to Sydney. Cruise up Australia’s eastern coastline and into Asia as you navigate between Sydney and Singapore. Adventure to Mumbai from Singapore via Thailand and Sri Lanka. Discover the beauty of Oman and Egypt featuring a transit of the Suez Canal on your voyage between Mumbai and Rome. Whisk through the Mediterranean via Spain and Portugal on your way to Dublin. Explore the United Kingdom and fjords of Norway as you finish your voyage between Dublin and Amsterdam. View all available Silver Whisper 2020 World cruise sectors. Highlights: Transit the Panama Canal; let the flavour of Mexico’s beautiful riviera excite you; island hop the tropical Hawaiian archipelago; bask in the paradise of the Pacific islands including French Polynesia and Fiji; cruise the eastern coastline of Australia and experience the beauty of the iconic Great Barrier Reef; immerse yourself in the cultural smorgasbord of Asia with featured visits to Indonesia, Malaysia, Sri Lanka and India; stand in awe at the towering cities of the United Arab Emirates; take a walk with ancient kings in Luxor, Egypt; transit the Suez Canal; visit the holy city of Israel; cruise iconic ports in the Mediterranean sea including Greece, Italy and Spain; cross the Atlantic and get lost in Bermuda. Highlights: Sway with the palm trees in the islands of the Caribbean; transit the Panama Canal in full daylight; cruise down the South American coastline visiting Ecuador and Peru; stand in awe at the monoliths of Easter Island; bask in the paradise of French Polynesia; discover the cultural and natural wonder of New Zealand; cruise the eastern coastline of Australia and experience the beauty of the iconic Great Barrier Reef; immerse yourself in the cultural smorgasbord of Asia featuring visits to Indonesia, Thailand, Sri Lanka and India and including select overnight stays onboard;stand in awe at the towering cities of the United Arab Emirates; take a walk with ancient kings in Luxor, Egypt; transit the Suez Canal; visit the holy city of Israel; cruise iconic ports of the eastern Mediterranean including Greece, Turkey and Italy. Highlights: Get hypnotised by the music and flair of central America; tick the Panama Canal off your bucket list; cruise up and down the Mexican and Californian Rivieras; experience the varying cultures of the countries of eastern South America; witness the beauty of the Chilean fjords and cruise around Cape Horn; try your hand at Samba or Salsa in Argentina and Brazil; visit the bleak but stunningly beautiful Skeleton Coast of Africa; cruise into the bustling harbour of Cape Town; bask in paradise as you relax on the tropical islands of the Indian Ocean; immerse yourself in the culture of India; discover the entrancing landscapes of Myanmar; experience iconic Asian cities including those in Thailand, Vietnam, China and Japan; cruise the Aleutian Basin as you make your way into the rugged terrain of Alaska; make your way back down the Californian and Mexican Riviera’s and complete a second transit of the Panama Canal. Not interested in the full voyage? View all available Insignia 2020 World cruise sectors. Highlights: Cruise the rivieras of Italy, France and Spain; explore the medieval cities of Portugal; take an iconic crossing of the Atlantic; immerse yourself in the vibrant cultures of South America as you cruise from east to west coast, around Cape Horn – plus enjoy numerous overnight stays onboard in iconic South American cities to experience the cities as they come alive at night; allow yourself to be mesmerised by the monoliths of Easter Island; hop through tropical Polynesian islands including Tahiti, the Cook Islands and New Zealand; uncover the highlights of Australia’s eastern coastline; journey into Southeast Asia where you will be met by stunning traditional architecture and delicious local food; get up close to the culture of India, Oman and Jordan; transit the Suez Canal. Not interested in the full 116 night voyage? View all available MSC Magnifica 2020 World cruise sectors. Highlights: Cruise iconic ports in the western Mediterranean; cross the Atlantic via the Canary Islands; sway with the tropical palm trees of the Caribbean islands; transit the Panama Canal; voyage down the rugged coast of Chile to Santiago; explore the coast of South America including stops in Brazil, Argentina and Chile; stand in awe at the ancient monuments of Easter Island; discover idyllic island beaches in the South Pacific; explore the beautiful natural landscape of New Zealand; sail up Australia’s eastern coastline; witness the many different cultures of Asia with visits to countries including Japan, China, Vietnam and Malaysia; immerse yourself in the vibrant coastal metropolises of India; take an adventure through the United Arab Emirates; transit the Suez Canal. Not interested in the full 112 night voyage? View all available Costa Deliziosa 2020 World cruise sectors. Highlights: Cruise across the Atlantic into the tropical islands of the Caribbean; transit the Panama canal; relax in the island paradises of French Polynesia and Tonga; witness the natural beauty of New Zealand; cruise up Australia’s golden eastern coastline; discover the many varying cultures of Asia including Japan, China, Vietnam, Thailand and Malaysia; navigate through the Suez Canal via India and the UAE; soak up the sun in the Mediterranean. Not interested in the full 120 night voyage? View all available Columbus 2020 World cruise sectors. For more information on these world cruises please contact us. *Itineraries and ports of call are all subject to change. 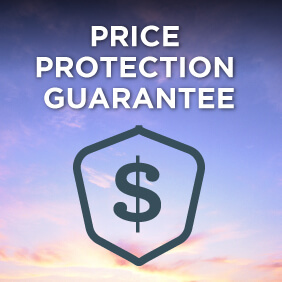 Cruise Guru reserves the right to correct any errors inaccuracies or omissions and to change offers, fares and surcharges at any time without notice.